Another challenge has come to an end and this post marks my successful completion of the Write Tribe Problogger challenge. I gave a lot of thought on what to write on this final prompt, Heartprints. I was clueless about the meaning of the word at first and felt lazy even to find it. I found out what it means on a fellow blogger’s post on the same prompt and the meaning is “something positive or caring that somebody says or does, that leaves their footprint upon your heart”. I don’t know why, but as I read its meaning again and again in his post, my feeling to write about the song “Let it go” began to increase. It is the song I love the most and can play it on loop the whole day without even getting a bit bored! In fact, last week when the prompt was to play songs on shuffle and write about the song that played first, I badly hoped for this song to play as I wanted to write about the positive effect this song had on my life! I guess universe played its role and provided me with an opportunity to fulfill my wish. So in this post I am going to talk about my most loved song “Let it go“; sung by Idina Menzel from the movie “Frozen“. It was on one of those boring and lazy days when my self-esteem had hit rock bottom that I watched the movie “Frozen”, just to pass time and keep myself occupied. The reason I selected this movie specifically was that there were no other movie left in my terabytes of data which was unwatched! (Don’t be surprised! I watch a lot of movies). I was never a person who let others judge me or let them get into my head but those few days in my life were sickening. I was naïve and lost my sense of control over my emotions. It was during that phase that I heard this amazingly inspiring song. I was so smitten by the song that I kept listening to it almost the entire day. Slowly, the peace of mind that I couldn’t find earlier returned. It helped me to think straight and let those clouds of judgment pass. This song helped me in many ways to overcome my fears and insecurities when I was not in a position to open up to anyone and talk about my condition. Hence it is one song that left its mark on my heart and will always be the song I love the most for all valid reasons! It’s a beautiful song and I’m glad it struck a chord when you needed those meaningful and inspiring words. Congrats on completing the challenge. What a fun month it was! No worries at all. 🙂 I would love for you to stop by when you like to read what I write and never cos I visited 🙂 it’s just my happy rule. Nah! It is just i wanted to read what you write. I have a list of blogs which i love to read and yours is one of them 🙂 As the challenge is done now i can resume my reading like i planned. I had a similar reaction when I saw the movie. I’m glad it helped you feel better. I worked like a medicine healing my pain! Thats a lovely song, I need to watch that movie its long due. The words resonate so well and I am glad I got to know your better through your posts in this challenge! 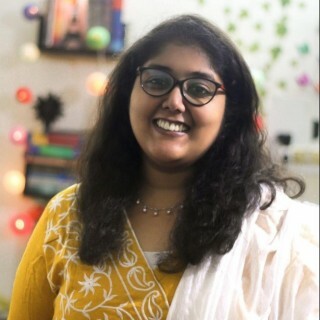 I felt the connect virtually with some bloggers through these challenges I was part of and I am happy to say that you are one of them Aks. The lyrics of the song got me too. It’s so inspiring and fills you with an energy to take life head on. Your post proves how healing music can be. It can bring up back up from down bottom. Congratz on completing the challenge. Indeed sometimes we find solace in very different ways! Oh I love that movie too and yes its songs are really uplifting too! This number is very powerful and strong when you really focus on the lyrics.!! Good doing this challenge with you Keerthi!! Congratulations on finishing the challenge! I’m glad that the song helped you at your time of greatest need. Frozen is a good movie for the adults too. And the song ‘Let it go’ is the most wonderful. The lines you have written in this post are the ones which all of us should keep close to our heart. When in doubt or lying low, just look into our heart, fish out these lines and get back to our original selves. Congratulations for having completed the October blogging challenge. Reaching the finishing line always feels good. It’s wonderful to find inspiration anywhere, and I’m glad you found it in this song. Glad that you could find your mojo back by listening to this song. Songs have that capacity to transform the world around us.